When it comes to protecting your windows and insulating your home, there are a lot of different options to consider. It is always important to protect your windows from damage during storms, especially those with hail and ice. Curtains, blinds and shutters all serve different purposes for your windows. Depending on your needs, your best choice may vary. However, having protection for your windows outside of your home creates a barrier from the elements and temperatures before they ever reach your window, providing you with the very best protection from the weather. To find a quality outdoor blinds system, Epping homeowners should contact Elite PVC. At Elite PVC, we have many different options available for our customers to choose from to create the best system of blinds for their home. Our outdoor blinds are available with options such as crank-operated guides, fixed guide, spring roller guide and automatic systems. Our blinds are available in acrylic, canvas and sunblock mesh. Our outdoor blinds systems are all custom built to fit your home, and meet the needs of your home. A motorised outdoor blinds system will last longer, by ensuring proper operation every time. We can also fit our blinds with wind and sun sensors to help to reduce energy costs even further in the summer and winter. We can install our automatic outdoor blind systems with the motors out of sight. Your motor can run on electric or solar power to save money and power. When you need an outdoor blinds system, Epping homeowners will find the most options and best quality in the blind industry. Our competitive prices and quality guarantees help you to be sure you will find the best value for your blind system at Elite PVC. How often do you enjoy sitting out on your patio, breathing the fresh air and listening to your children play in the yard? Your patio should be a relaxing, comfortable place to enjoy your yard, but often pests and weather conditions can ruin your enjoyment of this space. Rather than letting pests and the elements ruin your patio, you can use simple outdoor screens to turn your patio into a safe haven for you to enjoy. With outdoor screens for patios, Epping homes will relish their patios and yards again. Elite PVC builds custom outdoor screens to fit your needs and provide you with the outdoor space you deserve. You can use our Weatherwall systems to create an extra outdoor room, making use of screen or solid panels to fit your needs. Like a custom sunroom, our system will make your patio an extra room of your home for you to use. Elite PVC can also customise outdoor screens for patios in Epping. Our custom-fit powder coated aluminium frame will be created in the colour of your choice, and then fitted with your choice of panels. We offer many different options for screens for our customers, including Vistaweave mesh, fly screen and security mesh. You can use all of these screens to protect your patio from pests and help to provide shade and comfort for your space. Don’t allow your patio to be ruined by pests and the elements. Get back outside and enjoy your porch again! Our screens and Weatherwall systems are always affordable at Elite PVC and come with a quality guarantee. Your patio is like the living room of your back yard. It is where you sit to sip your coffee while you watch the sunrise and where you spend Saturday afternoon playing with your children. But where do you go when it is cold? Or when it is raining? With a patio weather screen, you can still enjoy your yard no matter the weather. 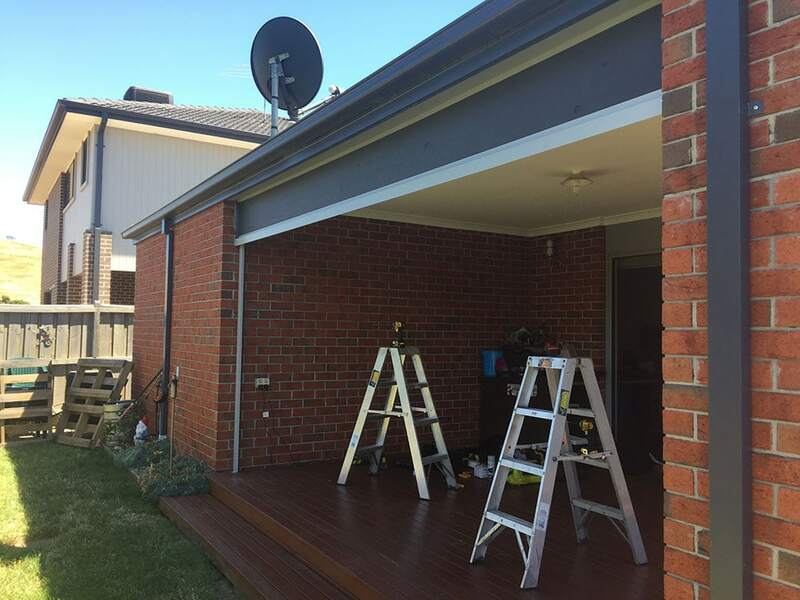 Elite PVC custom builds patio weather screens in Epping, Melbourne and surrounding areas. Our unique Weatherwall system allows us to build your custom patio weather screen to fit your area precisely. Our quality patio weather screens create a second living room in your yard, with a custom space, protected from the weather, pests and damage. Our screens are created using a custom-built aluminium frame, designed to fit your patio perfectly. We finish your frame with the finish of your choice. We offer panels of fly-screen, security mesh, fly screen for our mesh panel screens. If you are looking for a complete solution for weather and pest protection, you can install solid panels with a clear or tinted finish, and offer sunscreen UV blocker protection. Our solid panels are PVC, acrylic sheet and our Crystal Clear material for solid panels. With our panels in place, your screens can create a custom sunroom around your patio, giving you the perfect space to enjoy your yard, protected from the wind, weather and pests. At Elite PVC, we take pride in building the best patio weather screens in Epping. Are you tired of your electric bills soaring every summer and winter? Is your home always too hot or too cold? Has hail and wind damaged your windows in the past? If any of these issues affect your house, it is time to consider how you are protecting your home. At Elite PVC, we have been providing our clients with the best options to protect their home and outdoor spaces for years. We know that your house is more than just an investment – it is your home. To protect your home and to save money, it is important to have the best protection from the weather available. Elite PVC builds custom weatherproof outdoor blinds for Epping. Homes will benefit immediately from protection from the elements with our outdoor blinds. We craft our custom blinds using the finest, Australian-made materials, with options such as canvas, acrylics or sunblock mesh available. At Elite PVC, we can build blinds built with fixed glide, crank-operated, spring roller guide or automatic systems. We offer our clients many different options to make sure that they can find the best fit for their home. With our motorised, weatherproof, outdoor blinds, Epping homes will be protected from weather changes using our automatic system. Our motorised blinds extend the life of your blinds, by ensuring that they are used properly every time. We can also fit our blinds with wind and sun sensors to protect your home even further. Our motors can run on electricity or solar power to save even more energy. Our weatherproof, outdoor blinds in Epping homes help to insulate and protect your windows from temperature changes, the wind, sun and hail. This protection will help to lower your energy costs and help to keep your home warm in the winter and cool in the summer without extra electricity.